One of the most useful military concepts for business is the strategy-operations- tactics construct. It provides a frame- work for understanding organizational leadership, dynamics, and management, as well as their interplay in achieving results. The framework also helps to generate optimal alignment between strategy, the operational level plans that break the strategy into manageable pieces, the institutional systems and processes needed to enable successful execution, as well as the tactics, techniques, and procedures that are applied by the organization’s front-line employees and supervisors in their day-to-day jobs and tasks. The ultimate purpose of military strategy is to build on a country’s strengths and centre of gravity in order to prevail against enemies and other security threats. In an analogous manner, business strategy aims to leverage an organization’s distinctive strengths so that it can develop and maintain a sustainable competitive advantage to serve its clientele or constituents, while ensuring its ability to thrive, grow, and adapt to changing circumstances. Strategic leaders set the tone for the entire organization in all respects. The strategic leader must set an outstanding example and be a model of ethical, professional, and technical competence. He or she must instil a sense of vision and mission to everyone in the organization and communicate that purpose to the outside world. The strategic leader must also manage the delicate balance between the goals and aspirations of the organization, viewed as an institution, and its internal and external stakeholders. Strategic leaders must be deft influencers and organizers, with a keen appreciation for the mechanics of power, the social environment in which they operate, economics, technology, and the needs and goals of markets and constituencies. Strategic leaders must also possess high levels of self-esteem, self-knowledge, self- efficacy, and self-control. They can attain this by building their self-awareness and gaining experience and expertise in a wide range of fields and responsibilities. Finally, they must demonstrate keen insight into human nature, that of their clientele, employees, patrons, and owners. Successful implementation of strategy requires careful planning and execution. Operational leaders have the job of ensuring that the strategy remains on track and that the organization’s goals and strategic intent are respected. Operational leaders and managers translate strategy into actionable plans for the organization’s divisions and departments. They also develop and maintain the requisite systems, structures, procedures, and processes that create the conditions for success for the organization’s tactical leaders and their teams. I often find in my consulting work that the operational level is the most difficult one for executives and managers to get right. Operational level executives and leaders must find the right balance between the needs of the organization as a whole, and the needs of those who will actually go out and make its mission and vision a reality on the ground. Yes, standardization, performance reporting, resource allocation, budgeting and other managerial processes and systems are important. But they must not become a monster that overrides the purpose of the organization or business. Tactics is the lowest level in the organizational management and leadership framework. Successful strategy, whether carefully planned or emergent, comes as a result of small victories in the micro-tasks and missions of all the leaders and teams in the organization. In other words, an organization thrives and grows and serves its market or constituency only to the extent that its tactical level can actually win on a day- to-day basis in its engagements, undertakings, and interactions. The same principles carry over to business. For instance, companies gain in standardizing their TTPs by ensuring there is a “company” way of manufacturing, making sales, dealing with suppliers and distributors, managing customer relations, and any other mission-critical external interactions. TTPs are also important for internal processes, such as training, recruiting, selection, professional development, and all the other supporting functions within a complex business or organization. In summary, military strategy, operations, and tactics provide a ready-made framework that can be applied in all types of organization, whether in business, government, education, or the non-profit sector. There are also forms of leadership typical to each of these organizational and managerial levels.  Richard Martin is the president and founder of Alcera Consulting, where he applies his military trainingâ€¨as a Canadian Army officer to a range of business applications. He is the author of the book, Brilliant Manoeuvres: How to Use Military Wisdom to Win Business Battles.